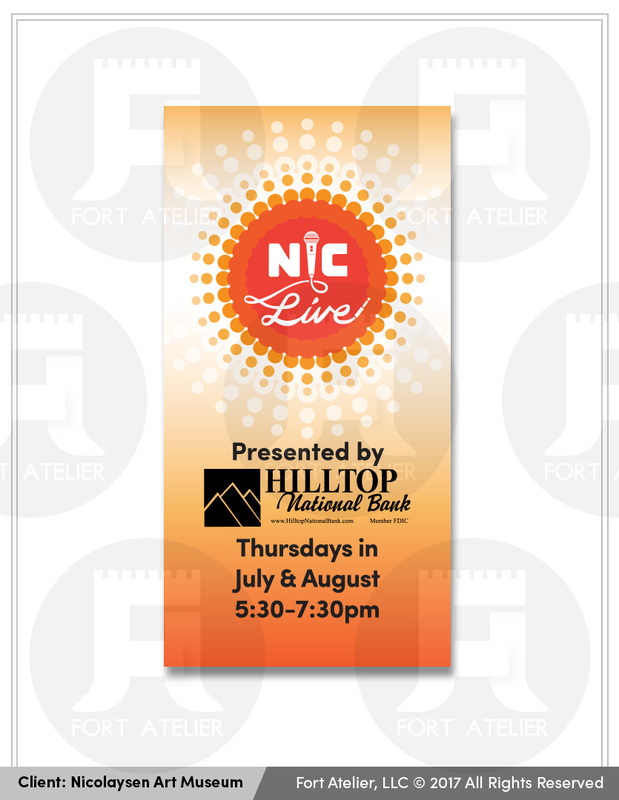 The Nic reached out to Fort Atelier in need of two logo designs for their summer art events. The first design was for Nic Fest, a large festival that encompasses 3 days of art, music, food and family fun. This particular logo needed to be a simple bold graphic, unique, colorful, summery, and could translate well for merchandise (t-shirts, hats, mugs, etc.). 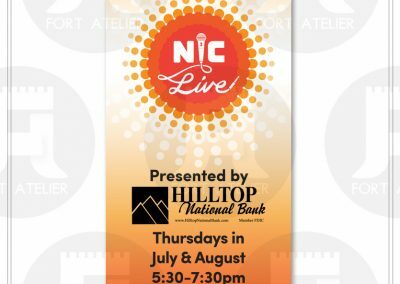 The second logo design is for Nic Live, a rebranding of “Wednesday Night Live”. This logo design was to be used annually, and thus needed to be bold, timeless, colorful and exciting! This logo also needed to be formatted for banners that would line the streets of the downtown area.